Shhhh, don’t wake the Beauty. I saw Carter and the Swing Masters perform this arrangement at a Newport in New York concert at Carnegie Hall, with Joe Thomas (slightly overwhelmed by the rapid pace), Teddy Wilson, Milt Hinton, and Jo Jones — the latter turning the brief drum solo into a longer exhibition. Memorably. Readers of JAZZ LIVES will have noticed that it is that rare thing — a Romantic Jazz Blog. This morning, while I was sitting alongside the Beloved, having breakfast, discussing a bit of mundane difficulty which was causing discomfort even though I knew it wouldn’t be permanent, I said to her, “Well, I’ll get by — as long as I have you.” Thank you, Roy Turk and Fred Ahlert, for giving us another way to express these sentiments — that the worst things in life are made more easy by the presence of a Beloved, that love helps us to endure. “Getting by” often seems like the minimum, “just getting by,” but this song gives it substance and dignity. 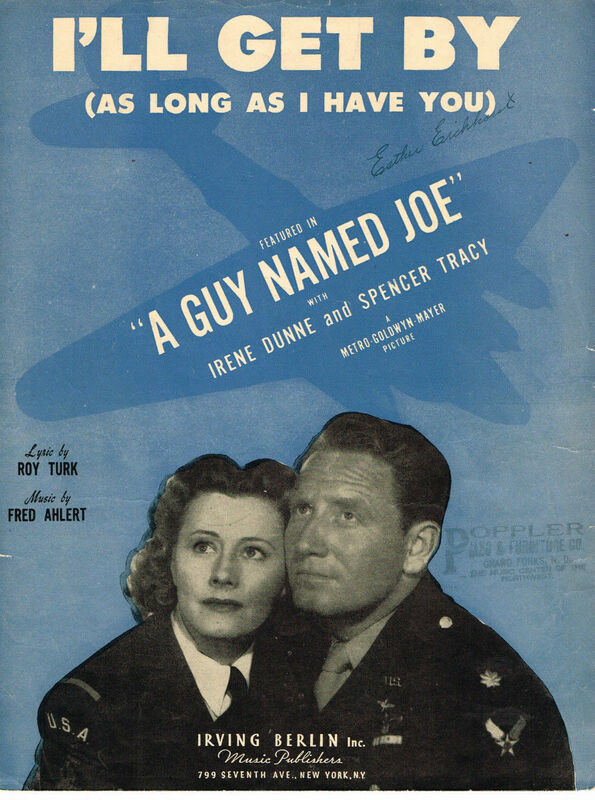 I know that isn’t the original sheet music (which has only a floral design) and I think that the Beloved leaves Irene Dunne in the dust, although I am no Spencer Tracy . . . but the vision of a couple finding comfort in each other’s presence is a sustaining ideal. 1944: with Eddie Heywood, Doc Cheatham, Vic Dickenson, Lem Davis, Teddy Walters, John Simmons, Sidney Catlett. I’ll get by. You will, too. 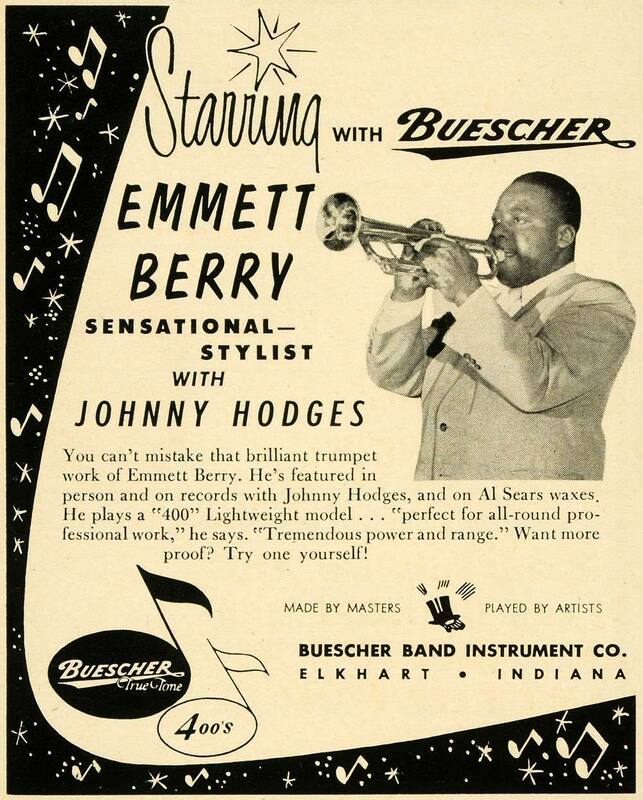 This Buescher trumpet, the advertisement tells us, is the model Emmett Berry plays with Johnny Hodges. For tremendous power and range, which Mr. Berry would have had on any horn. Emmett Berry came from the tradition of individualistic players — with an intense near-ferocity no matter what the context . 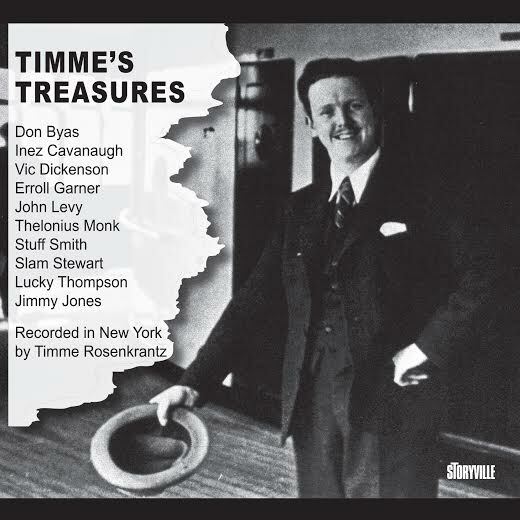 . . with Fletcher or Horace Henderson, Don Byas, Coleman Hawkins, Cozy Cole, Edmond Hall, Bennie Morton, Buck Clayton, Dickie Wells, Buddy Tate, Count Basie, Jimmy Rushing, Walter Thomas, Ben Webster, Budd Johnson, Oscar Pettiford, Harry Carney, Johnny Guarneri, Illinois Jacquet, Billie Holiday, Teddy Wilson, Benny Carter, Eddie Heywood, Vic Dickenson, John Kirby, Gerald Wilson, Betty Roche, Helen Humes, Johnny Thompson, Jimmy Witherspoon, Al Sears,Al Hibbler, Lem Davis, Dodo Marmarosa, Slim Gaillard, John Simmons, Zutty Singleton, Sidney Catlett, Sammy Price, Milt Hinton, Jo Jones, Eddie Bert, Lucky Thompson, Bennie Green, Lawrence Brown, Sidney Bechet, Ruby Braff, Art Farmer, Claude Hopkins, Pee Wee Russell, Bob Brookmeyer, Andy Gibson, Paul Gonsalves, Cannonball Adderley, Shorty Baker, Chu Berry, Earl Hines, Joe Williams. On Keynote he was the third trumpet player with Joe Thomas and Roy Eldridge. He was in the trumpet section for a Miles Davis and Gil Evans session. Between 1937 and 1967, he seems to have been active on gigs and in the recording studio, even if some of that work had him playing second trumpet to Buck Clayton or as part of the brass section behind a singer. But this record of activity says to me that various people (Harry Lim, John Hammond, Count Basie, Jimmy Rushing, Buddy Tate) valued him as a powerful, reliable, creative player — someone who could swing, improvise, blend with a section, sight-read music the first time he saw it. Buck Clayton’s story of Berry whacking Jimmy Witherspoon in the head with his trumpet when Spoon had been particularly out of line suggests that Berry was not someone to be trifled with, and his phrasing does suggest an expert boxer and dangerous counterpuncher. His sound– so vehement — remains in my ears. On the early Clef sessions with Hodges, on THE SOUND OF JAZZ, backing Rushing on Vanguard — unmistakable. Berry doesn’t take enough space, and his vehemence is hinted at rather than fully released, but his sound and physical presence are fully evident.